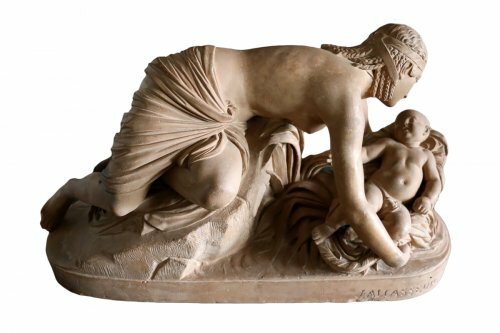 Moses Saved from the Waters - Jules Allasseur (1818-1903). 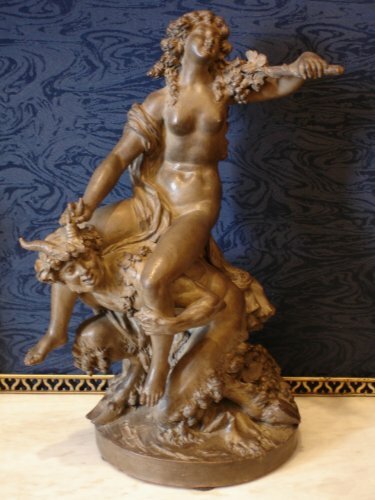 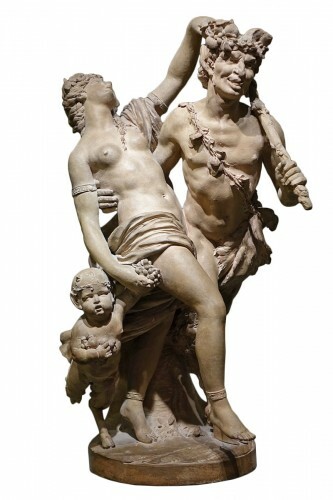 Large Terracotta "Faun and Bacchante"
Dating back to the Upper Palaeolithic period, terracotta is one of the oldest materials used for construction and sculpture. 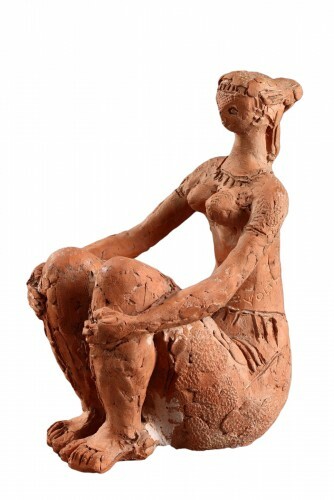 This ceramic material is made by firing clay in order to make pottery and sculptures. 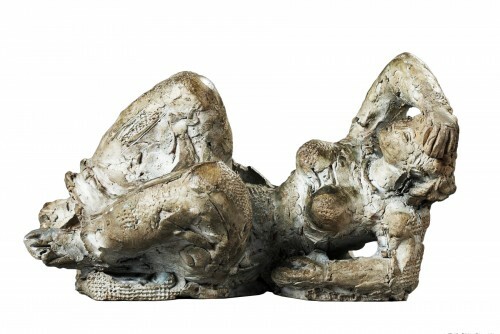 Biscuit sculptures are objects in porcelain that have been fired twice. 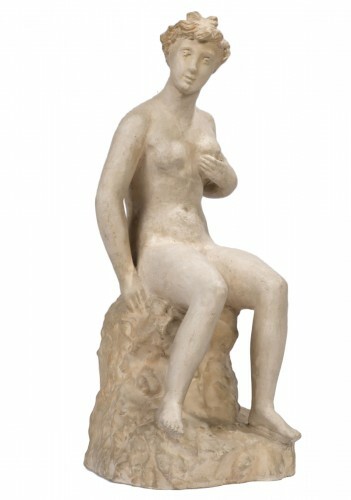 Their matt and incredibly white appearance gives them a majestic elegance. 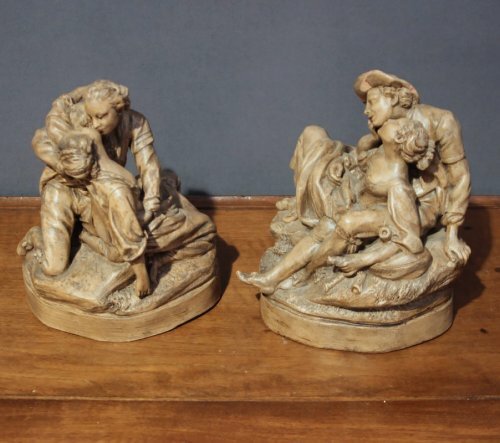 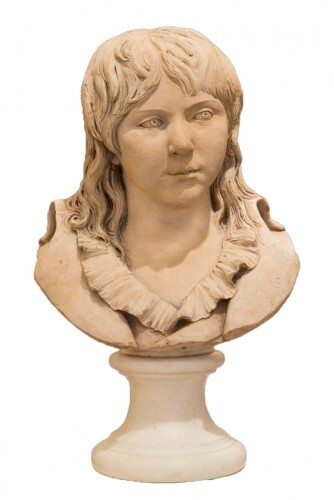 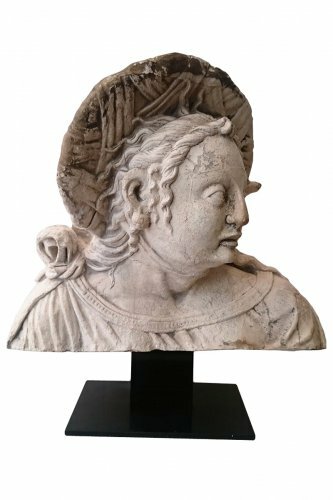 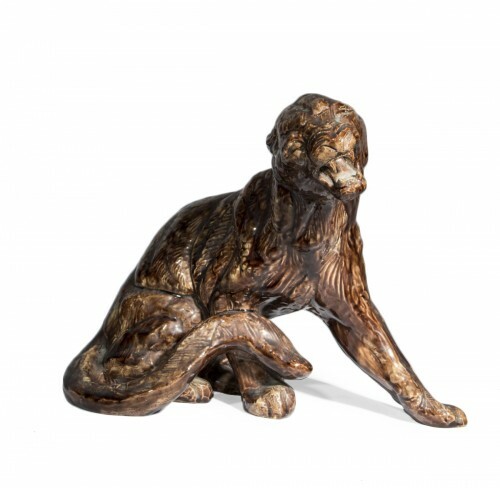 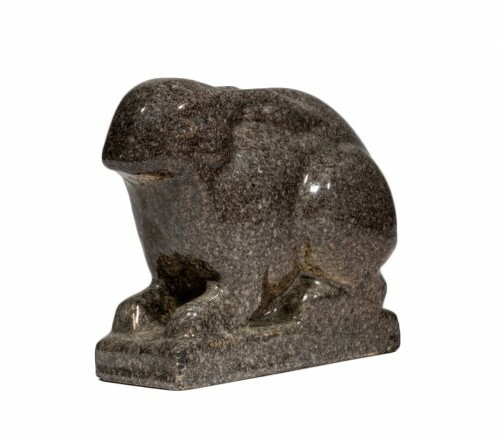 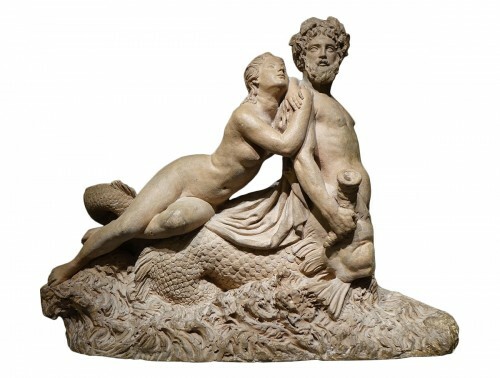 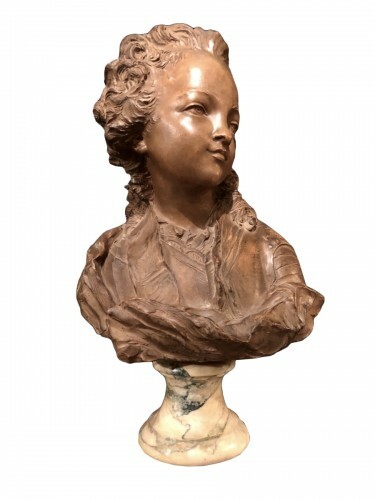 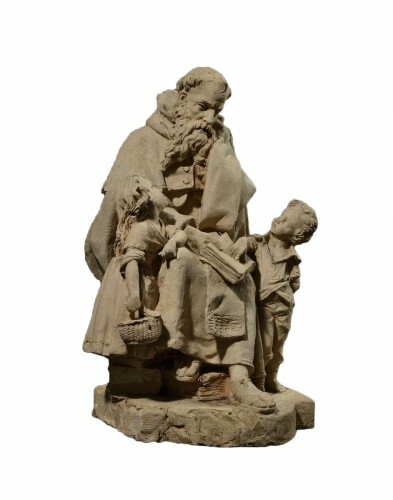 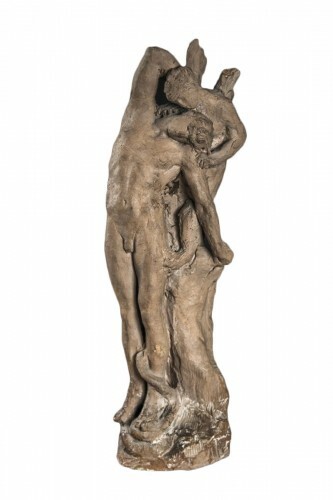 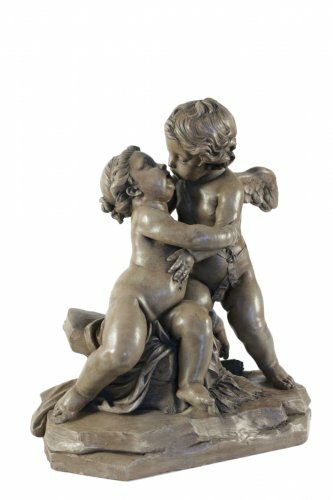 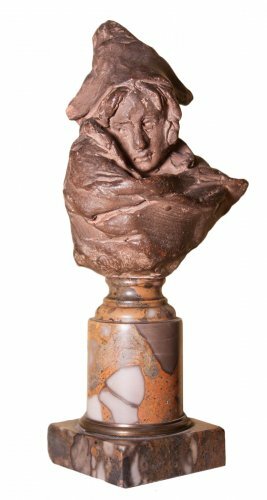 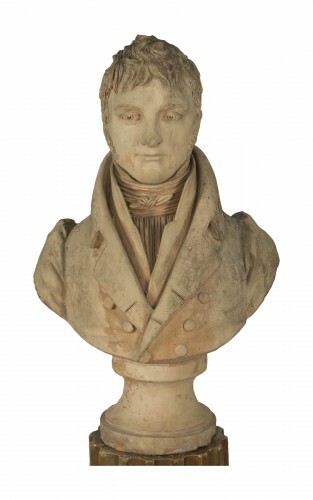 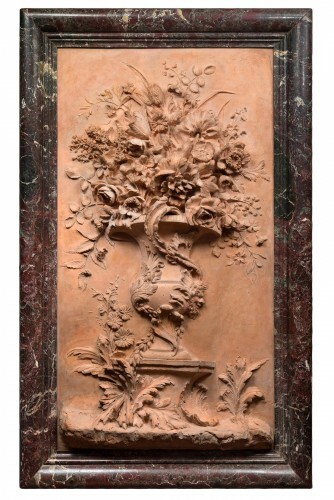 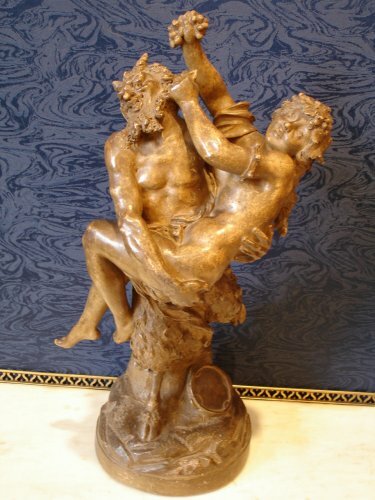 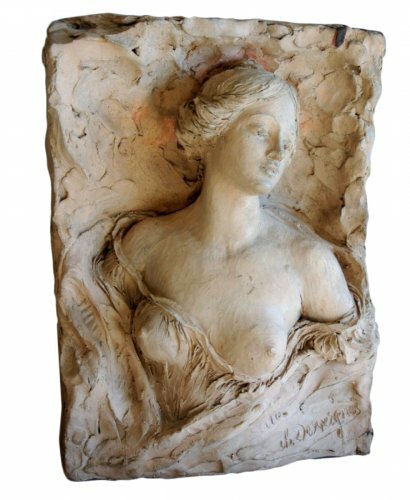 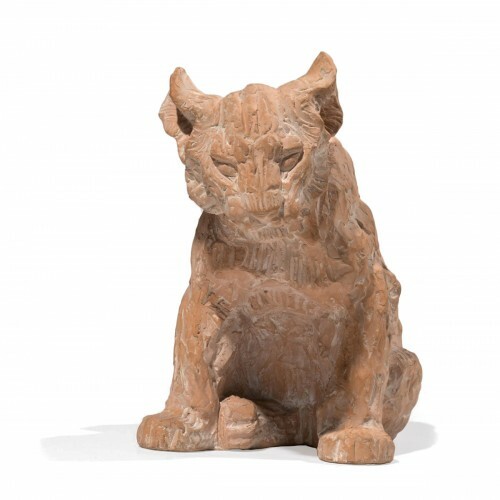 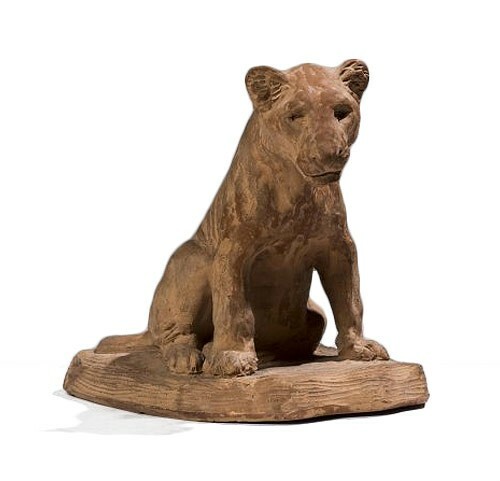 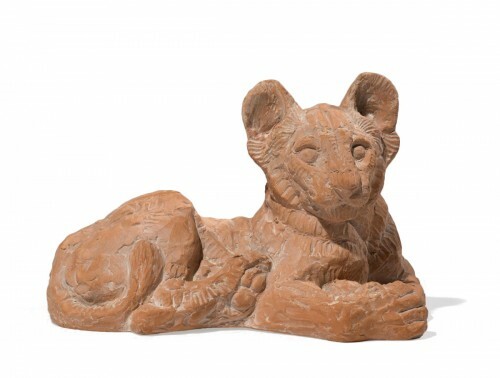 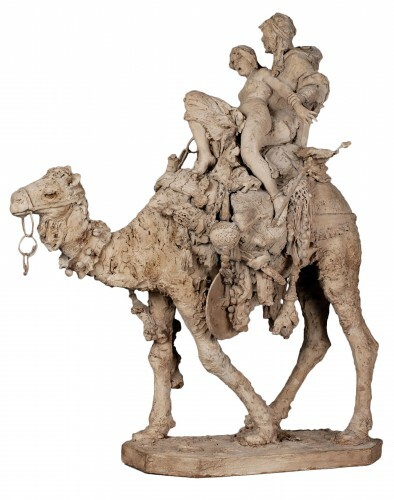 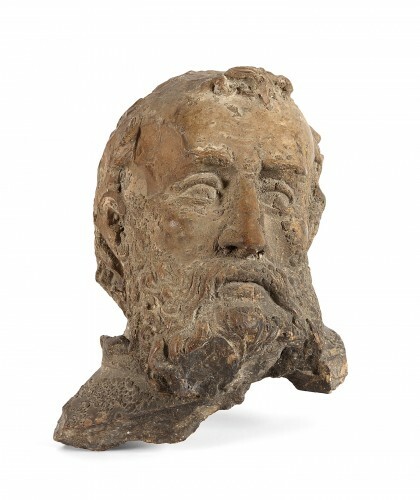 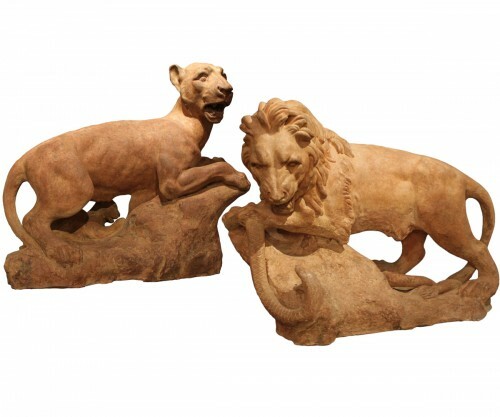 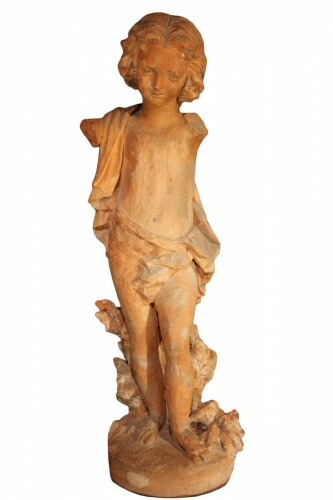 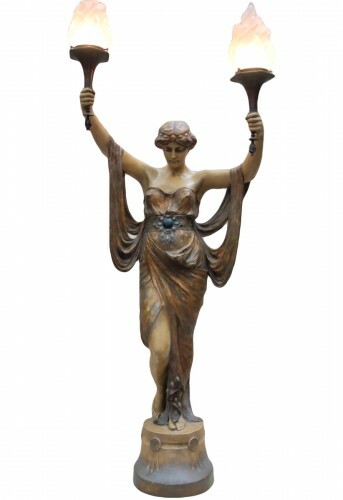 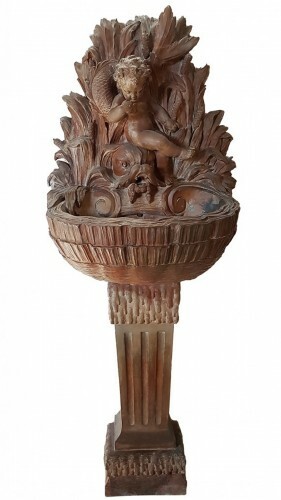 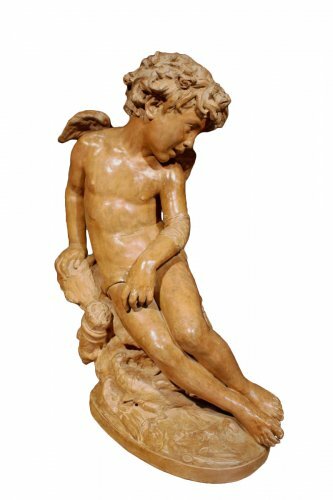 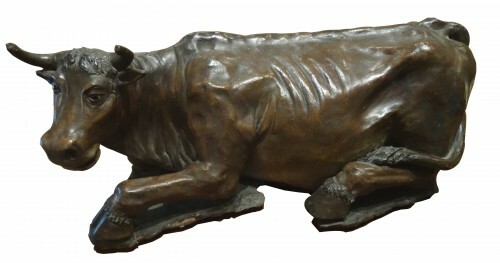 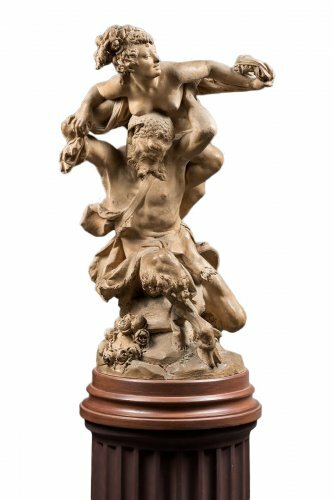 Antique Roman and Greek terracotta sculpture promotes an art with a timeless quality. 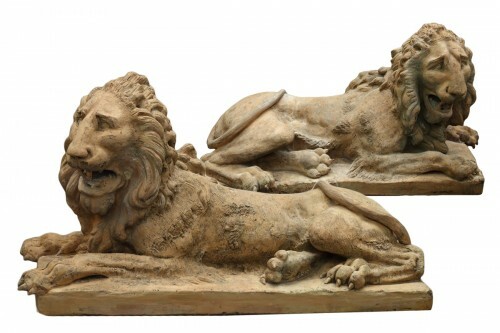 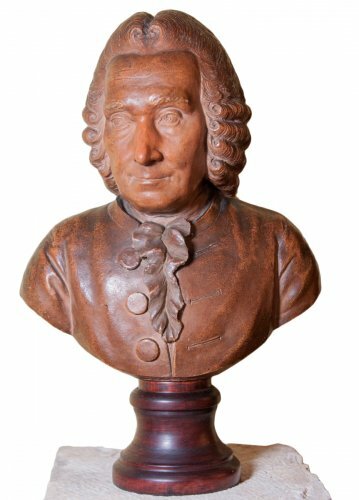 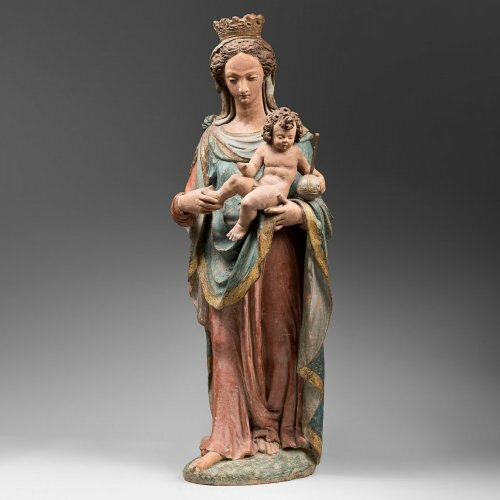 Over the centuries, the ornamental arts made extensive use of terracotta and biscuit sculptures: in tableware, objets d'art, and in the decorative arts. 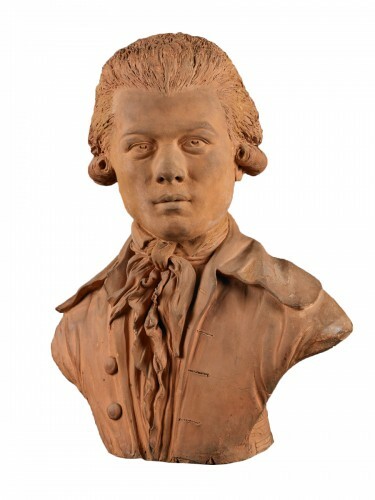 The porcelain manufactories—at Sèvres, Limoges, Paris, St Cloud, and in Meissen and Saxe—experienced a golden age during the eighteenth and nineteenth centuries.